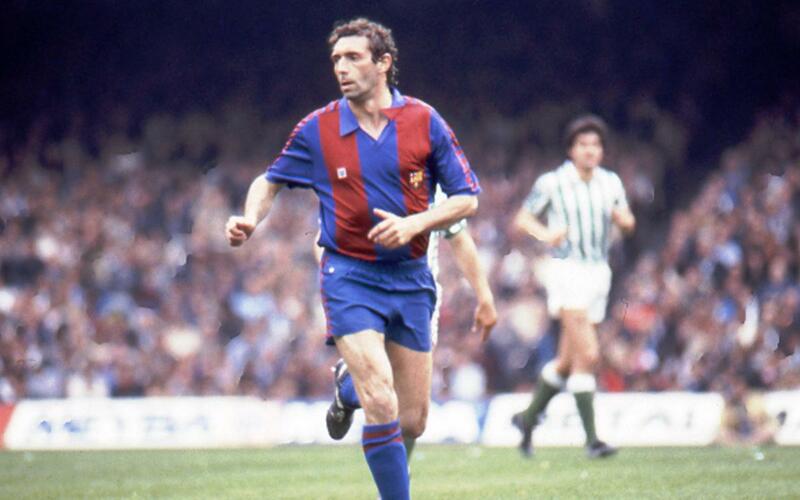 Enrique Castro 'Quini', who was a player at FC Barcelona between 1980 and 1984, died on Tuesday night of a heart attack at age 68. 'Quini' (Oviedo, September 23, 1949) was a synonym for goals par excellence. Also known as 'The Wizard,’ 'Quinocho' or 'Quinigol,’ he was one of the best strikers in Europe in his time, and a real poacher in the area. During his first year at the Club he also survived a kidnapping. In his first season at Sporting Gijón, he was known as a fast, slippery centre forward with an impeccable finish, both with his feet and his head. Not by chance, he was the Pichichi three times with the Asturian team. Barça, who had been trying to buy him for several years, finally achieved it in 1980. He was 31 years old, but his effectiveness never waned at anytime during the four seasons that he was in the team. During his first campaign, in March 1981, he suffered a kidnapping that happily ended with his release. Three months later saw a true test of his character, when, in the Copa final, Barça faced Sporting, the team where he had played for twelve seasons. He demonstrated his great professionalism and decisively contributed to Barça’s win with two goals. He won the Pichichi with the Blaugrana in the 1980/81 and 1981/82 seasons, and was the author of Barça’s 3,000th League goal on January 24, 1982, in a match against Castellón. In 1984 he returned to Sporting and left behind the memory of an extraordinary scorer and a person with exceptional human qualities.